"The word of the Lord came to Elijah saying, 'Depart from here and go towards the East and hide yourself in the Wadi Carith which is over against the Jordan there you will drink of the torrent and I have commanded the ravens to feed you there'" (1 Kings 17:2-4). This call from God to Elijah, the spiritual father of the Carmelites, is also the call to those persons called to the Carmelite vocation. This includes a call to be: detached from things that we put higher than God; to move away from sin; to find solitude for prayer; to love; to contemplate; and to persevere. 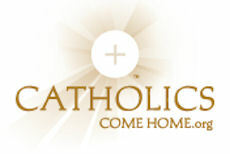 The Call to Carmel is achieved through a call to prayer, a call to community, and a call to service. The Lay Carmelites of Christ the King Parish is a lay branch of the Third Order Carmelites. The community supports the members in learning and practicing Carmelite Spirituality through monthy community meetings and formation instruction. If a person is discerning a call to Carmelite Spirituality, they attend a year of initial formation, then two more years of formation to make temporary promises, then another three years before making final promises. Members of any Catholic parish in the area are welcome. 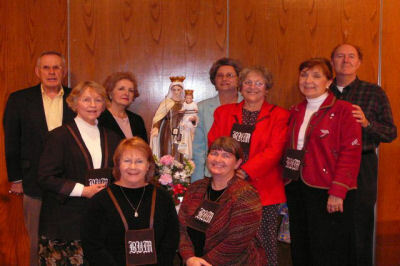 We can assist you in: The Brown Scapular of Our Lady of Mount Carmel; we can give you a scapular and information on this devotion and arrange enrollment. We can also assist you in: The Liturgy of the Hours; purchase a book, teach you how to pray the hours, and join us in praying them after the 6:30 AM and 8:00 AM daily Masses. Please contact Rebecca Moak at 627-0143.